It was quite sometimes that I did not been selected as winner for my cards. Well, it is because this year, I am not very active in my hobby due to my day job workloads and attention to my kids. Although I always say that card making can release my stress, I just could not find the time for it. 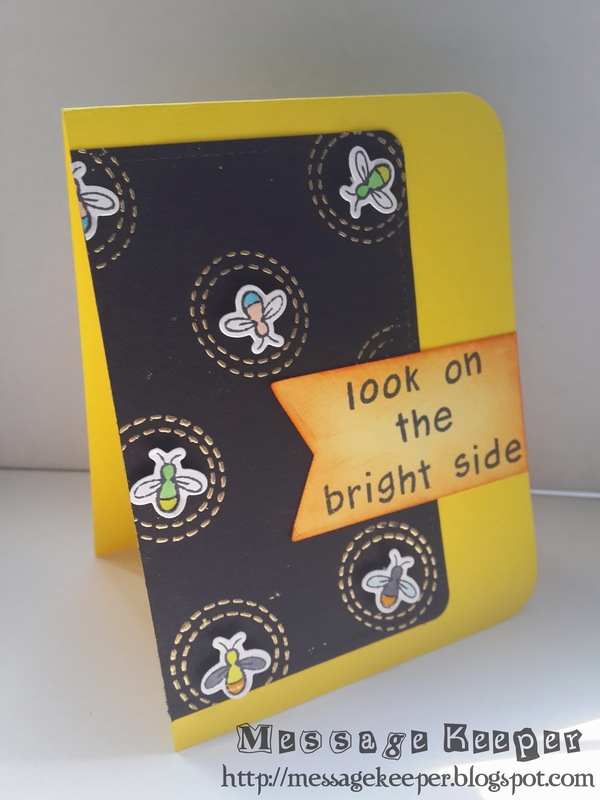 Well, finally today, my Fireflies Look on the Bright Side card is selected as top five at Eclectic Ellapu for Wings Challenge. I made this card for a colleague who is leaving due to 'organization restructure'. Even though I did not win any prize (only a "Top Five" badge), I am so glad that I was selected as one of the top five! This is because Eclectic Ellapu is not randomly selecting the runners up but is carefully evaluated by the design team! A big thanks for Eclectic Ellapu design team for picking me!